I agree with the man. Heaven? Hell? It’s our choice. What do you choose, Madame? i must admit that’s a tricky one, Sisi! not as easy as people’s desire to reach heaven seem to be… after all, we’re used with living in one utterly imperfect world: would the perfect, continuous serenity of the divine realm suit us? don’t know. maybe i’ll just wait to die and see then; it’s a possibility that angels will convince me. what do you think? 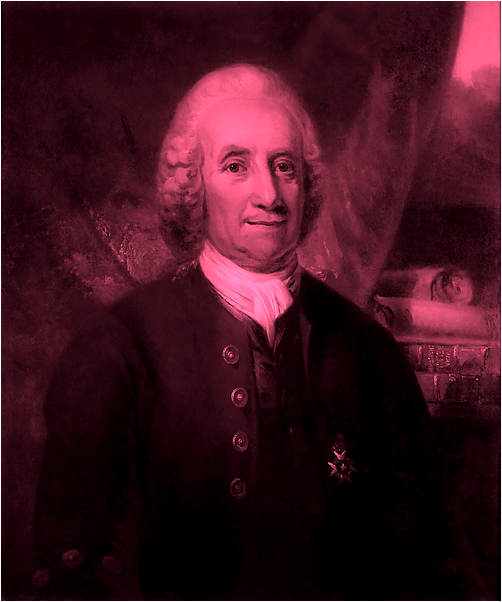 well, i’m much ashamed to admit i haven’t actually read his whole work on the subject (heaven & hell) as i’ve barely discovered the man in a brilliant essay, hence a fully personal opinion about the “free-will” philosophy elaborated by Swedenborg has yet to clot and achieve contour in my brain. from what Borges interpreted, though, i assume it could be said the truth lies middle-way: man is majorly capable to chose his path, growing to be considered either good or bad by society’s canons, in the limit of a certain nature. during a lifetime, quite ambiguous and subjective if you ask me. okay, say we’re born with a pronounced propensity for heavenly deeds which we enormously enjoy doing but something happens and vice contaminates us. we’ll never do terribly horrific things because our so-called goodness hinders us but we will nonetheless break the 10 commandments. then we die, reach the neutral zone between heaven and hell; what next? do we pick heaven because our nature’s attracted by goodness? do we, former sinners, must select the infernal fire? most likely Swedenborg would’ve chosen the latter since, during our life, we ourselves have embraced “evilness” with full awareness… obviously, i’m not entirely sure. ambiguous and subjective. interesting.. thanks for introducing him. I really have no idea about him and this concept. hmm actually it kinda explains how come some people are generally mean spirited. well we just need to read more about this I guess.. It sounds oddly benevolent – so no heresy. The thoughts are clear and evidently the product of much and serious thought. So. A wild and genuine hunch. Yes – that feels about right. My feelings exactly. And to think no religion actually sought to implement his idea.